Design your own necklace. 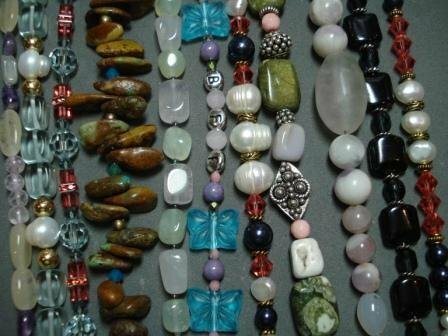 Learn the fundamentals and basics of jewelry design, different types of beads, working with a bead board, how to use the tools of the trade, closure techniques and more. Basic stringing supplies included. Bead are not included and can be purchased at studio or you can bring your own. Includes basic stringing materials and clasp. Beads are not included but are available for purchase at the studio or bring your own.